The demise of the Id Card Project in 2010 has not removed the growing need for trusted e-Identities (e-Ids) to give access to public sector services. The State benefits from lower administration costs and reduced fraud; Citizens benefit from much simpler and faster application for services. Far fewer errors will be propagated. 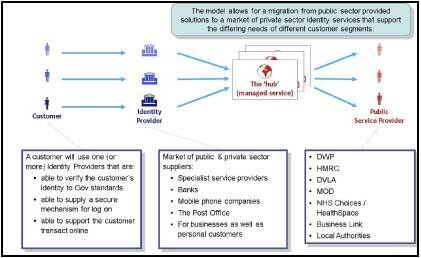 The Cabinet Office solution is to encourage a market for Identity Provider (IdP) services from any number of accredited suppliers, many of whom should be from the private sector. Public Service Providers (PSPs) will trust the e-Ids from any such IdP. Their architecture diagram below has been largely unchanged for more than a year. Between the IdP and the PSP is the managed “Hub”. This posting raises a fundamental question about why it is necessary. There are already well established standards that control the governance requirements for federations of IdPs and PSPs. One is the OIX model. This standard does not have a central hub. It has rules for level of assurance and protection. It is supported by many international IdPs such as Google, Facebook and Microsoft. Public service organisations could act as both IdPs and relying parties. The UK education sector uses a similar model for simplified sign on to multiple services. Commonly known as Shibboleth, it is governed by the rules of the UK Federation. It has an architecture that is scalable to millions of users without the need for a hub, see http://www.ukfederation.org.uk/. It is a governance issue, you either trust other members of a Federation, or you don’t. What are the problems of using such a federation architecture? disadvantage government in commercial or policy negotiations with others. Surely “external review” should mean what it implies, and that the Cabinet Office should obtain feedback from more experts before the policy is cast in bronze. There are enormous implications to Local Authority and Voluntary sector service providers. Couldn’t the draft be published for consultation and made unrestricted less than six months after internal approval? This was an adventure into a new domain by attending a lecture at the Institution of Engineering and Technology. A completely new perspective on identity management. It has proved difficult to weave into Identity Management as previously discussed by Quarkside. But, judging from the applause of 200 people, it meant an awful lot more to them. Perhaps it can be used as support for the theory of managing multiple identities. Local Government have been presented with more information about DWP’s Universal Credit (UC) programme. The complexity is such that it will replace more than 30 working age benefits, across 4 agencies, with 10,000 pages of guidance. 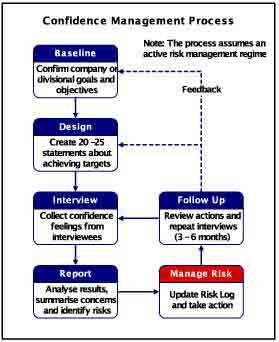 DWP have published their implementation plan. They have been coy about when design and build will finish, let’s say Dec 2012 and about 6 months testing. All using agile programming methods! 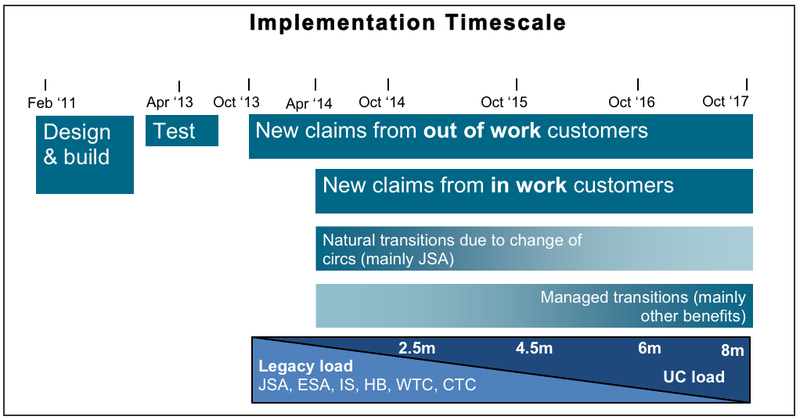 Quarkside’s question to DWP about how they are going to define households remains unanswered. Attempting to design a system without a definition of the primary unit of measure points to incompetence or a guarantee of promotion. Apparently, top flight consultants are involved. Perhaps they only have experience of well behaved nuclear families with bags of broadband and integrated internships. Local authorities have to deal with the fall-out when the edifice crumbles. Any ICT developer could devise a simple agile program for a consultant’s family – not for a family of travellers where ‘household’ has no meaning and may change on a weekly basis. 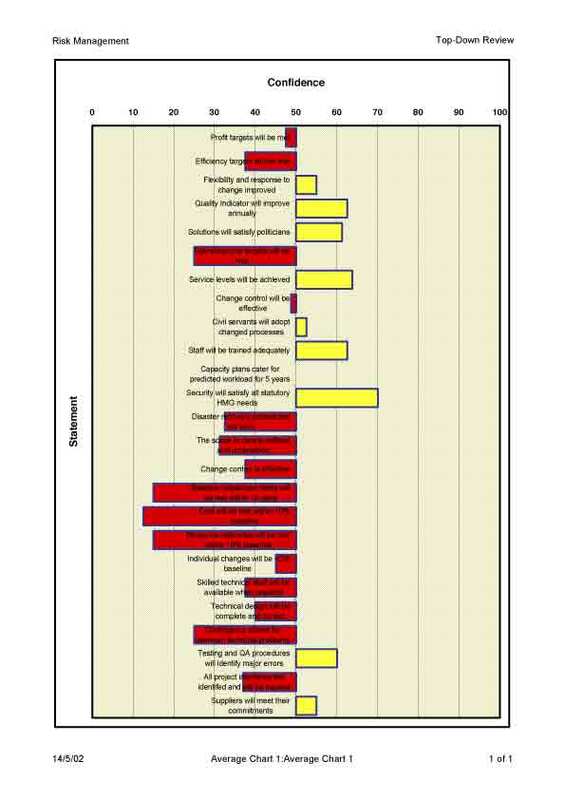 Change is second-most important reason for computer system failure, the first-most is getting the wrong specification. UC hits both sweet spots. Many new claimants for current benefits cancel broadband contracts as a luxury. Many older claimants are also digitally excluded. Currently LAs handle benefits claimants face to face and they employ many staff to do so. Quarkside does not know the numbers, neither did DWP. So they enquired to find out the number, perhaps indiscreetly, by asking Heads of Revenues and Benefits what their redundancy costs might be when UC is implemented. LA Chief Executives were not amused. Face to face service will be necessary and it is not clear who will provide it from which premises. In answer to some of these challenges a DWP spokesman was most enlightening. £180,000 for developing the system must also be a mistake, it’s more likely to be £18million. Finally, we learn that £8.5b is lost in error, fraud and administration in the current means tested sytems. How much this is a result of identity error, identity fraud and identity administration? Quarkside raised the issue in February, “Identity Icebergs to sink Universal Credits“. There’s not been a lot of action to allay fears by LAs about providing an Identity Hub which collects personal data and matches it with third party credentials. Top marks to SOCITM for developing an open consultation on an ICT strategy for local government. “Routemap for Local Public Services reform – enabled by ICT“. As the President of SOCITM confirmed “We have never actually had a strategy and action plan for IT-enabled local public services, let alone one conceived for a citizen-driven public sector.” So it is long overdue and should help beleagured ICT Managers (aka CIOs) to squeeze out more from less. “pan-local/pan-public-sector” ICT provision , encompassing strategy, architecture and commissioning, to drive efficiency and reform of public services, according to the needs and preferences of people in the diverse places that make up the UK. The way to achieve it is through sharing, re-design and innovation. Note that Sharing must come first to achieve the economies of scale and buying power. Sharing is dependent on partnerships and there’s already been a lot of investment in how to form, implement and sustain multi-agency, information sharing partnerships. The research and test projects revealed nine dimensions that have to considered for successful partnerships. The SOCITM Strategy covers most of the dimensions, but there’s one glaring omission; Identity Management. 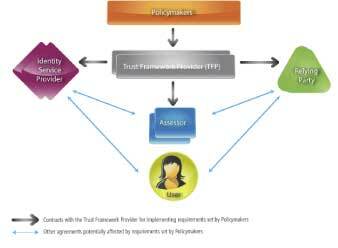 All shared service systems WILL FAIL if identity management methods are not applied to both staff and citizens. Both need federating across the public sector infrastructure. Identity Management cannot be tagged on at the end of a project – look how ContactPoint suffered. Within the Governance dimension lies funding. Believe it or not, the inability of partners to agree a funding structure is the primary reason for the failure of partnerships. The funding formula for shared services should be agreed on Day 1. This a CEO and CFO role, not the responsibility of the CIO. The benefit of drafts for consultation is that improvements can be made, and there are over 400 local authorities that can contribute their knowledge and experience.